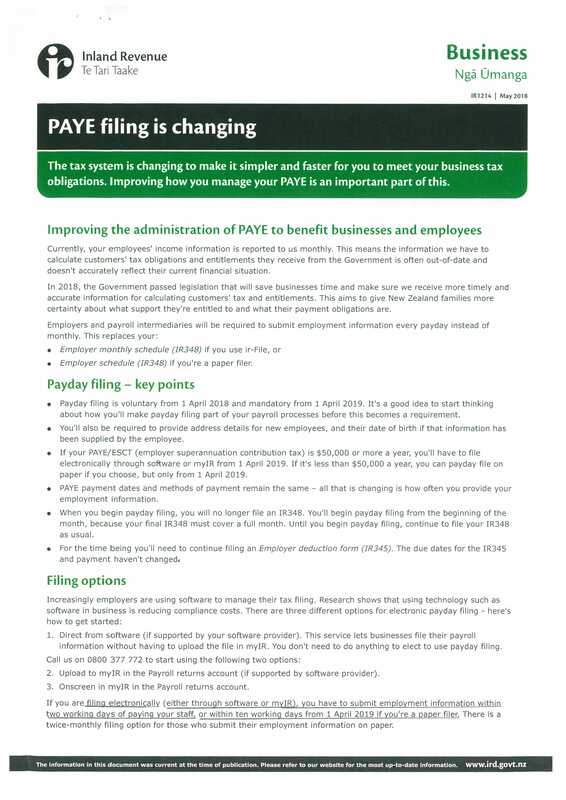 Payday Filing is fast approaching for Employers. 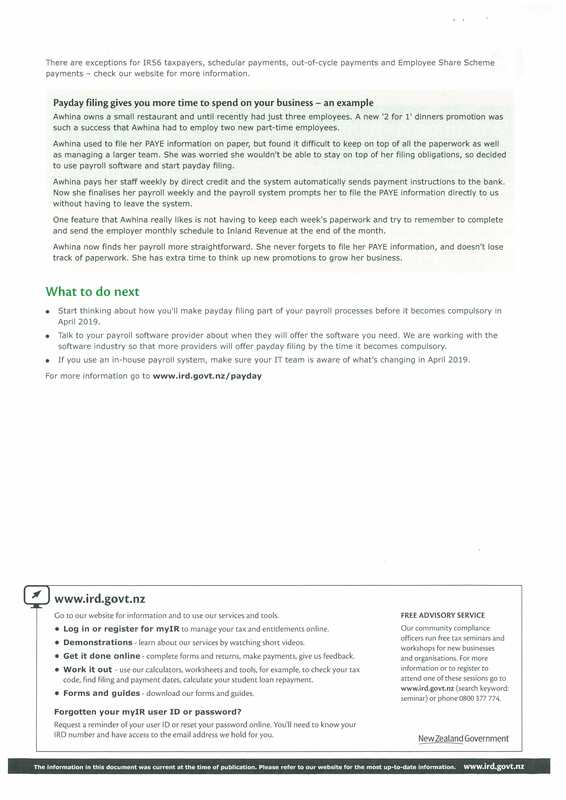 The IRD are running a free payday filing seminar in Dargaville on 27th November from 10:00am to 11:30am at the Northern Wairoa War Memorial Hall, 37 Hokianga Road. To register, go to the IRD website. You can register here or just view the recorded seminar presentation here.